The Companies Act 2006 implemented a change to the law which came into effect from the 1st of October 2009 with regards to the personal and company address details for businesses seeking registration as a limited company with Companies House. The new rules state that all company officers (directors) must have 2 addresses registered with the registrar. These addresses are the private residential address of the director and the service address. The reasoning is simple. Small businesses often start off from a private residence and therefore directors were previously required to give their private home address when registering. This meant that their address and personal details would be freely available to the public upon request. In order to protect a director’s personal information the law was changed to allow a director to enter a “service address”. This service address is the address which will be available to the public. While the residential address will still need to be registered, it will only be available to specified public authorities (the police and HMRC) and certain credit reference agencies. 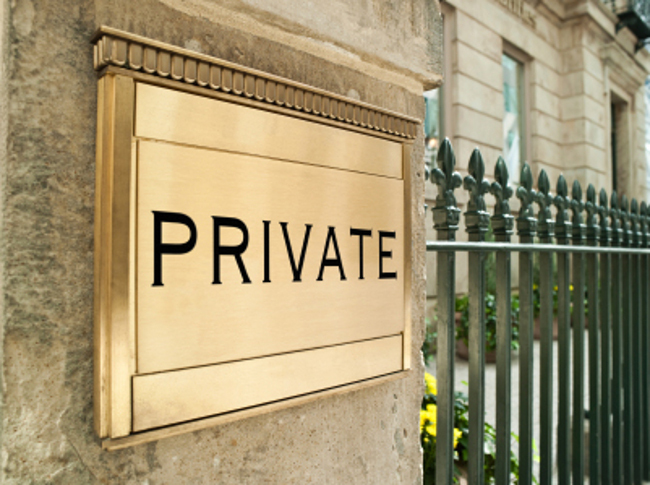 So, if you’re starting a new limited company you may enter a service address which is different from your personal residential address in order to protect your privacy. Of course, there is nothing to stop you submitting the same address for both if you don’t have a service address or are not concerned with your private data. More often than not, people starting a new limited company don’t have access to a separate service address. If you are in this situation, but still wish to protect your private residential address and keep it away from prying eyes you may use a Registered Office Service. This service is provided by us to help protect your personal details and maintain a professional edge to your business. You can simply register our address as your service address and we will forward your statutory and official government correspondence to your personal address. As the Director of a small private business, I can’t believe how much personal information is available online these days. I don’t see why any Director’s address, residential or service, should be publicly available.